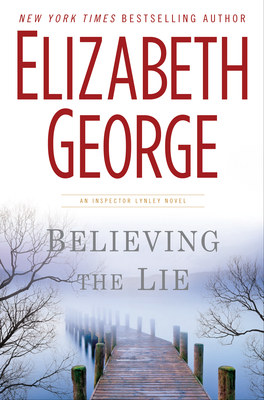 I am a big fan of the Inspector Lynley books - every time a new one comes out, I rush out to buy it! I picked this one up back in January, but unfortunately wasn't able to read it until April (yes, I am a bit behind on my reviews). I enjoyed it, as will all other fans of this series. All of the favourite characters are here - Lynley, Havers, Deborah and Simon St. James, Hadiyyah and Azhar... The characters that carry over through the series have their stories develop. And the mystery develops slowly but surely, like a ball rolling down a hill, until the momentum of it can't be stopped. My one complaint is that I found that the book could have used better editing. My hardcover weighs in at a hefty 608 pages; and as I was reading it, I thought that it could have been pruned significantly. She has a new publisher with this book, and I suspect that there may have been a new editor involved as well. The story was there, but it wasn't as tight as her previous books. I will stick with the series though, if for no reason than this book ended with a major cliff-hanger. No more to say on this here, since I don't want to include any spoilers! Based on the cliff-hanger though, I have great hopes that the next book will focus more on Barbara Havers, my favourite character in the series!